The processing of information is time consuming, involves a lot of personnel, and delays the decision-making and the sending of response teams; however, in the meantime, the extent of the damages is increasing. It is even possible that there will be deaths before the emergency response team arrives. 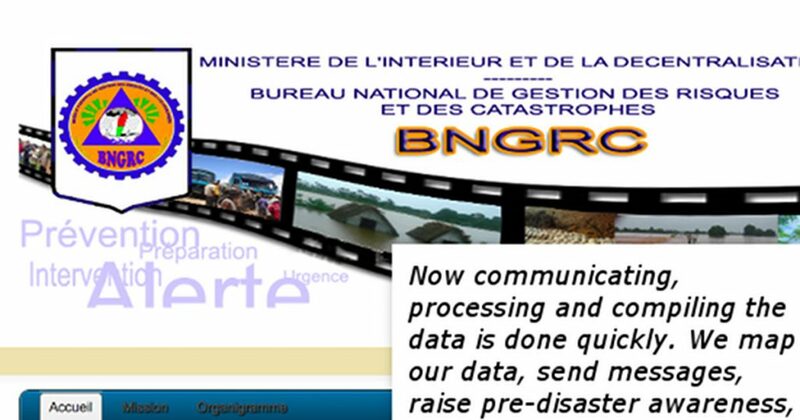 For years, BNGRC relied on landline phones, radio communication, and paper reports to prepare for and respond to cyclones and other disasters. The paper reports alone took 30 minutes or longer to process — per report. When people need direct, immediate assistance, these lapses can be catastrophic. To provide reporting alternatives to disaster-affected communities the BNGRC equipped 1,700 “reporters” in at-risk communities with mobile phones and training to report information during and after disasters. The United Nations Development Programme (UNDP) provided an additional 300 mobile phones for the project. International partners such as CARE, CRS, ADRA and UNDP mobilized their field staff working in areas prone to cyclones and flooding, to provide additional support and participate in the training of the reporters. Now communicating, processing and compiling the data is done quickly. We map our data, send messages, raise pre-disaster awareness, and increase preparedness. We access and analyze our collected data in real time and share it with other stakeholders. 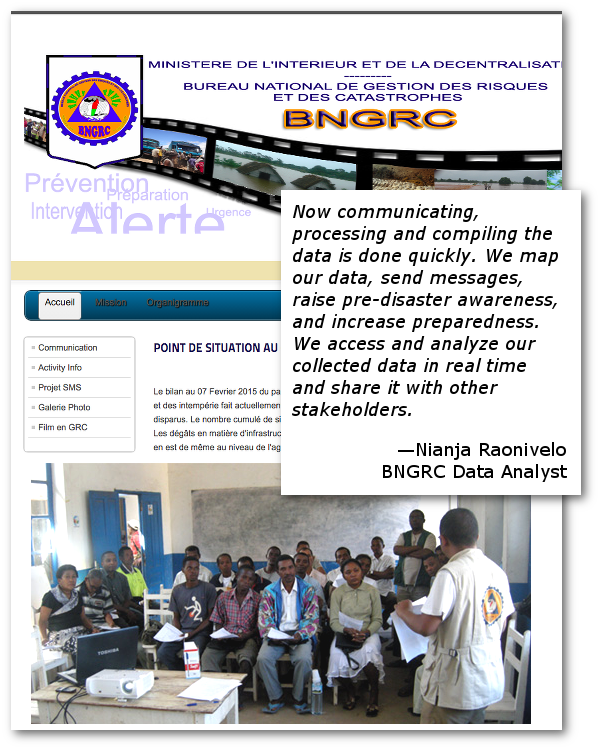 BNGRC’s upgraded reporting system for disaster relief, prevention and management is currently operational. The system is considered affordable, reliable and robust enough to meet the organization’s needs in times of crisis.